The two suspects in the poisoning of ex-Russian spy Sergei Skripal and his daughter are civilians, not criminals, Russian President Vladimir Putin says. 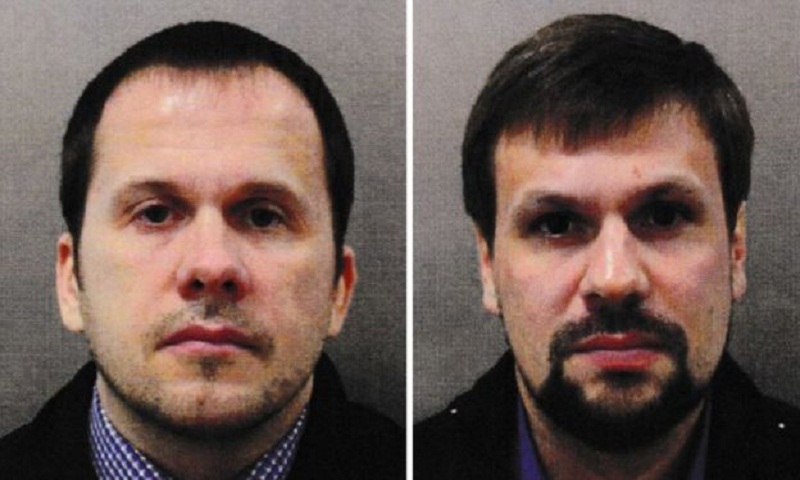 The UK government named them as Alexander Petrov and Ruslan Boshirov, and said they were from Russia’s military intelligence service, the GRU. Mr Putin said his government had found the pair and he hoped they would appear soon and tell their story. Mr Skripal, 66, and Yulia, 33, were poisoned in the UK in March. Scotland Yard and the UK’s Crown Prosecution Service have said there is enough evidence to charge the men, who are understood to have travelled to London from Moscow on 2 March on Russian passports. Two days later, police say they sprayed the nerve agent, Novichok, on the front door of Mr Skripal’s home in the Wiltshire city of Salisbury, before travelling home to Russia later that day. UK Home Secretary Sajid Javid has warned the men, thought to be aged about 40, will be caught and prosecuted if they ever step out of Russia.